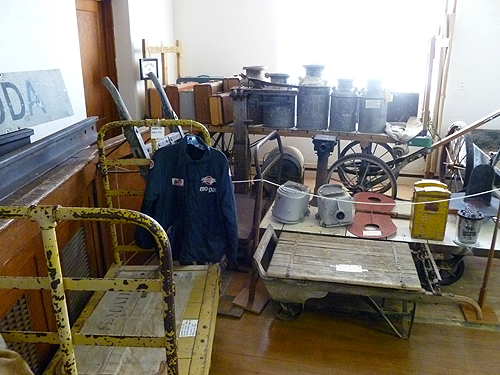 The Ellis Railroad Museum has many railroad related items, the items fill up four complete rooms of our building. The displays feature a wide variety of railroad memorablia, from railroad timetables to station signs. Also, mixed in is artifacts from Ellis' own history, including photos of old Ellis business and photos of old Ellis buildings. All of our photos are available for your viewing in an electronic picture frame or organized binders for easy viewing.